Kahoʻolawe, the smallest of Hawaii’s eight main volcanic islands, has been a center of Native Hawaiian seafaring culture for over a thousand years and is still considered a place of great spiritual power. Historically, navigators who traveled from Hawaii to Tahiti were trained there, and it was said to be the landing place for the original gods from Tahiti: Kane and Kanaloa. The island is also referred to as Kanaloa, reflecting the native feeling that this particular land embodies a revered deity deeply associated with the sea and voyaging. Kahoʻolawe also has a number of traditional fishing spots. The more than 600 archaeological and cultural sites found on the 45-square-mile island — including stone temples, house foundations, agricultural camp sites, fishing shrines, tools and petroglyphs — earned its placement on the National Register of Historic Places. The first European to visit the Hawaiian islands was British explorer Captain James Cook, who arrived in 1778. Soon after, the area became a prime destination for whalers, traders going between North America and China, and Protestant missionaries. For a short time in the mid-19th century, the Hawaiian monarchy designated Kahoʻolawe as a penal colony to house followers of the Catholic faith and others who violated new standards of right and wrong brought by the Protestant missionaries. In 1848 Kamehameha III — influenced by Western notions of land ownership — divided up the kingdom’s land and designated Kahoʻolawe as government land, which led to the island’s leasing as ranch land for the next hundred years. The influx of traders, missionaries, and ranchers to the Hawaiian islands brought diseases to the native population, which shrunk from 300,000 at the time of Cook’s arrival to 50,000 a century later. Overgrazing by imported cattle, sheep and goats did similar damage to the land of Kahoʻolawe, stripping native vegetation and causing soil erosion and runoff, which in turn damaged the ancient fishing spots and marine ecosystem. At one time there were 40,000 goats on the island, and 1.9 million tons of topsoil eroded each year. The final blow to a sovereign Hawaii was dealt on Jan. 17, 1893, when American and other foreign sugar planters, who sought to expand their enterprises, revolted against Queen Liliʻuokalani. The American government sent in troops to support the plantation owners and five years later, annexed a newly invented “republic” created by the plantation owners. During World War II, the U.S. military began to use part of Kahoʻolawe as a bombing range. The day after Japan’s attack on Pearl Harbor in 1941, with Hawaii still an American territory, the Navy declared martial law on Kahoʻolawe in order to use the entire island for military activities. Ranchers and other residents were forced off the island for good. The Navy remained after the war was over, pounding the island with bombs, rockets, napalm and three mock atomic blasts using TNT to simulate the effects of a nuclear blast on nearby ships. Military personnel also went to Kahoʻolawe to train in gunnery operations. In 1953, President Dwight D. Eisenhower transferred the title of Kahoʻolawe to the Navy, with the provision that it be returned in a state “suitable for habitation” once it was no longer needed for military exercises. The modern land rights movement in Hawaii began in the mid-1970s when the inhabitants of another island, Molokaʻi, opposed a corporate land takeover and won. The activists then turned their attention to the bombing on Kahoʻolawe and the group Protect Kahoʻolawe ʻOhana (Family) (PKO) was formed. PKO spearheaded dramatic occupations in which activists secretly landed on the island and hid for several days before getting arrested. The first action took place in January 1976 and more followed. In 1977, activists George Helm and Kimo Mitchell disappeared after spending a month on the island without capture. The results of an FBI investigation were never made public. Though there was danger, the ’70s was a time of cultural reawakening and increased political empowerment for Native Hawaiians. PKO filed a federal civil suit in 1976 asking the U.S. government to comply with environmental, historic site and religious freedom laws. This led to a 1980 consent decree which allowed PKO scheduled regular access to the island for religious and educational purposes. Ancient heiau or temples on Kahoʻolawe were restored during this time, and indigenous Hawaiians were allowed to hold monthly ceremonies. The Navy began to tend to environmental issues such as removing the goat population that had caused erosion, restoring soil and vegetation, and clearing trails. The entire island was listed on the National Register of Historic Places in 1981. Following PKO actions and litigation, President George H. W. Bush ordered an immediate halt to the use of the island as a weapons range in 1990, and a congressional commission was created to establish the terms and conditions for returning the island to Hawaii. In 1993, Daniel Inouye (D-Hawaii) sponsored Title X of the Fiscal Year 1994 Department of Defense Appropriations Act, authorizing the conveyance of Kahoʻolawe to the state of Hawaii and ordering the clearing of unexploded ordnance and environmental restoration of the island. Congress also voted to end military use of the island and allocated $400 million toward cleanup. The Hawaiian legislature, in turn, established the Kahoʻolawe Island Reserve — encompassing the island and the surrounding ocean within a two-mile radius of the shore — and created the Kahoʻolawe Island Reserve Commission (KIRC) to manage it. The law maintains that the reserve shall be used exclusively for traditional Hawaiian cultural, spiritual and subsistence purposes, environmental restoration, historic preservation, and education; commercial activities are strictly prohbited. In 1994, the Navy transferred the title to Kahoʻolawe to Hawaii. However, it retained access control during the cleanup process, which it contracted out to the Parsons Corp. The cleanup was laborious: it did not even begin until 1999 because of extensive problems in finding buried weapons and handling dangerous material while protecting cultural and archaeological sites. When the contracted cleanup ended in 2003, 74 percent of the island’s surface had been cleared of unexploded ordnance, with only nine percent cleared to four feet below the surface; other areas remain uncleared and are unsafe to access. A fund still exists for the Navy to return to work, which it says it will do when more ordnance is discovered. Many environmental problems on the island remain. Goats were eradicated in 1993, but many invasive and nonnative plant species remain. The island lost much of its vegetation and topsoil over the last two centuries, from both ranching and military activities. The destruction of forests on Haleakala (on Maui) has eliminated the cloud cover that used to stretch out to Kahoʻolawe, making the island very dry. The Navy’s activities also poisoned what little water exists underground with explosives and fuels, and a simulated atomic-bomb blast broke the capstone of the island’s water supply. Today, the KIRC manages the restoration and controls access to the reserve, while the PKO organizes cultural and educational activities. Large-scale revegetation efforts began in 1999, and more than 350,000 new plants are now in the ground. Restoration efforts also focus on invasive-species removal, controlling soil erosion and sediment runoff, improving water resources, and stabilizing cultural sites; volunteers have played and continue to play a crucial role in these efforts. The Kahoʻolawe Island Reserve Commission (KIRC) has conducted operations on Kahoʻolawe using money from the $44 million trust fund established when the military returned the island to the state. Since then, the KIRC has spent down the trust fund while receiving no money from the state to manage the island. The KIRC budget for the fiscal year beginning in July 2014 is $2.89 million, and the trust fund currently has about $3.5 million remaining. In June 2015, the fund is expected to be down to around $1 million. A key challenge for the future is securing funding for the continued management of Kahoʻolawe. Kahoʻolawe remains a major symbol of the continuity of Native Hawaiian culture, the resurgence of its language, and the continued fight for sovereignty. Stanton Enomoto, former director of the Kahoʻolawe Commission, said that the healing of the island is “a metaphor for the restoration of the Hawaiian people. It’s reviving not only the culture but it could ultimately lead to the reestablishment of the nation.” But some activists feel that the optimistic symbol of Kahoʻolawe has faded in the face of the government’s failure to fully clean up the island, as well as the transference of military activities to other islands. In addition, once a land base becomes part of a government bureaucracy, the radical demands for sovereignty that drove the movement can be softened. The return of Kahoʻolawe does show the power of a visible activist movement that occupies land and raises public awareness. This visibility is one factor that led to the executive order that forced the military to leave the sacred island. However, until the scale of the U.S. military is decreased, it will always seek new lands on which to detonate explosives and test new weapons. With 20 percent of the Hawaiian land base occupied by the military, dozens of sacred places are in jeopardy. The U.S. Army is now conducting bombing and live artillery exercises on sacred lands at the Pohakuloa Training Area on the Big Island, where 7.1 million live rounds of weapons are fired annually; an estimated 400 square miles of that island may contain live arms and military toxins. These occupations destroy fragile ecosystems, habitats for endangered species, and lands of spiritual and cultural significance. 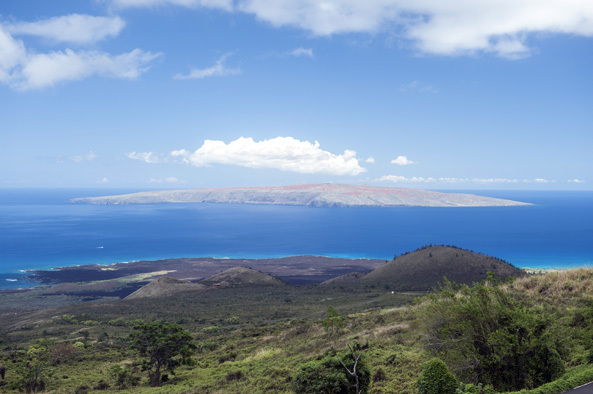 On a positive note, the ecological and spiritual restoration of Kahoʻolawe represents a powerful opportunity for a native culture to reconnect with land and tradition and to participate in “the rebirth of the sacred,” in the words of PKO member Davianna McGregor. Native species are being planted, ancient ceremonies are being revived, elders are educating children on sacred land, and a community is developing protocols about how to visit and how to be in a sacred place. A long and difficult struggle is yielding inspiring lessons for indigenous communities around the world. Perhaps the most important lesson learned from the decades-long struggle for Kahoʻolawe is that in campaigning for the protection of their sacred site, Native Hawaiian activists kept their core value of aloha aina — love of the land — as their guiding principle. It worked. Donate to the KIRC’s Kahoʻolawe Rehabilitation Trust Fund. Participate in a cultural trip with Protect Kahoʻolawe ʻOhana. Enomoto, Kekoa Catherine. “Kahoolawe Pilgrimage.” Maui News, February 17, 2008. Kahoʻolawe Island Reserve Commission. “History.” Kahoʻolawe Island Reserve Commission. Levin, Wayne and Roland B. Reeve, eds. Kahoʻolawe, Na Leo o Kanaloa: Chants and Stories of Kahoʻolawe. Honolulu: ʻAi Pohaku Press, 1998. McLeod, Toby. “Visionary Cultural Use Plan for Kahoʻolawe.” Sacred Land Blog, December 17, 2009. McLeod, Toby. “Kahoʻolawe.” Sacred Land Blog, January 4, 2008. McGregor, Davianna Pomaika‘i. Na Kua’aina, Living Hawaiian Culture. University of Hawaii Press, 2007. Noho Hewa. “Military Occupied Areas in Hawaii.” Noho Hewa: The Wrongful Occupation of Hawaii. Protect Kahoʻolawe ʻOhana. “History.” Kahoʻolawe Island. Sarhangi, Sheila. “Saving Kaoʻolawe.” Honolulu Magazine, November 2006.